We stock an extensive range of parts, accessories and consumables for all makes of commercial vehicles, trailers and workshops. Working in partnership with and sourcing directly from leading Original Equipment (OE) manufacturers and suppliers, we offer quality products at competitive prices. This also ensures that we benefit from their full technical support and back up. We stock parts for all makes of trucks, buses, coaches and lcv’s. 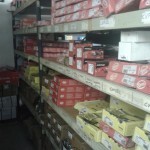 Including; brake discs, brake pads, brake calipers, brake drums, brake shoes, wheel bearings, seals, filters, slack adjusters, steering components, air brake valves, air bags, springs, shock absorbers, lighting, mirrors, body panels, electrical components, exhausts, engine components, turbos, bulbs, fittings etc. We also specialise in clutches and flywheels and carry large stocks from all OE manufacturers. We carry large stocks of spare parts for all trailer axle manufacturers – BPW, SAF, ArvinMeritor, Hendrickson, Gigant, Lohr and Granning. We are also distributors for the three main air brake manufacturers – Knorr Bremse, Wabco and Haldex. We stock a wide range of trailer body parts including; lighting, landing legs, fifth wheels, shutter door components, curtain ratchets, side-guard rails, air/electrical suzies, marker boards, reflective tape etc. We stock a range of oils, additives and other ancillary service products, including workshop consumables, ad-blue, detergents, screenwash and tools. Please see our suppliers page for information and links to some of our key supplier partners.